The rivalry between Ethereum and EOS has been inevitable from the start. The idea behind EOS was to outstrip Ethereum, in one way or another. 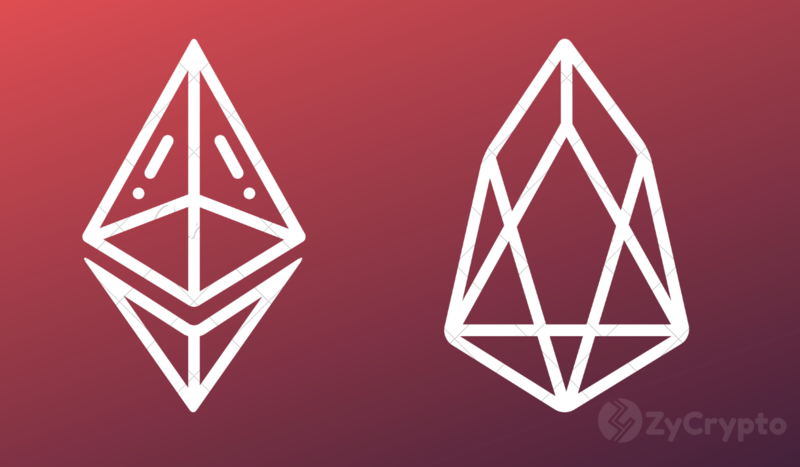 EOS aims to become a solid foundation layer for developing dapps and, at the same time, promises to solve the issues Ethereum has been struggling with. However, Ethereum is steadily holding its ground and has no intention of ceding. Although both blockchains are clearly contributing to a similar purpose, their fundamental premises are not the same. And as both competitors have their fair share of pros and cons, it is not that easy to establish which one is better. Bitcoin paved the way for everyone. The Ethereum creators saw an alternative path in the smart contract. The new blockchain offered an ecosystem to make the work of developers easier and allowed them to build on top of it. EOS, in turn, is focused on perfecting that ecosystem and making it way more comfortable and secure. Decentralization is the cornerstone of Ethereum. Its community is driven by the sole idea of decentralization, but, as it often happens, the main advantage gives rise to some serious problems. Ethereum’s initial Proof of Work consensus algorithm is of a probabilistic type, meaning that we have no idea when and what node will confirm the next block. The network relies on miners and this causes major scalability issues. Think of this: it only took one cute little cat game to challenge the entire network. 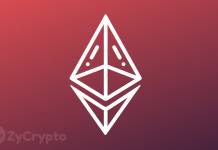 At the beginning of 2019, on February 29th, Ethereum activated its long-awaited Constantinople and St. Petersburg updates. This will eventually lead to fully adopting Proof-of-Stake algorithm, cheaper transactions and has already resulted in reduced mining awards. EOS took a different approach. Rather than focusing on decentralization, the blockchain made the scalability problem their number one priority. EOS designers implemented a Delegated Proof of Stake consensus deterministic algorithm. This way, we know exactly when and which node confirms the next transaction. The algorithm suggests that only 21 block producers will be in charge of confirming new blocks. The users ‘delegate’ their votes to BPs, that act as nodes. The nodes take their turns in a timely and strict order. And that’s how the network cuts the time of transaction confirmation significantly. EOS claims it doesn’t have miners, but has Block Producers instead. Technically, BPs are just remastered version of miners. Although they are not motivated directly by the amount of reward, they do the work to get their votes and be selected as one of the top 21 who get to solve the blocks. And, eventually, get their reward. Users vote for Block Producers and their voices value according to the amount of EOS token they hold. And EOS transactions are conditionally free. The network uses a bandwidth system, so it all comes down to how many tokens you hold. On the other hand, Ethereum runs on gas and each transaction requires a fee. The problem is that gas is limited and the transactions can be pricey, especially if you want to make a few of them (let’s say while playing a crypto game). For now, by activating Constantinople, Ethereum has managed to reduce block reward issuance from 3 to 2 ETH. As you might have guessed, miners were not thrilled by this update and some of them had to give up mining ETH, as it had turned into a bad bargain. Ethereum mining is going through some tough times. As it utterly and completely depends on the price of electricity and is still profitable in specific locations like Ukraine or China, but for US miners, the numbers haven’t been matching up very well. Some miners had no choice but to look elsewhere. On its way to change the realm of dapp development, MinerGate has partnered with Lumi, a crypto wallet known for its involvement in the Ethereum dapp community. This partnership illustrates that with a positive and open-minded approach, businesses don’t even have to choose between the platforms, and can work with both of them at the same time. As we mentioned earlier, EOS was created to ease the life of developers and they are free to choose their preferred programming language as they please. In theory, Ethereum allows the same but in practice, everyone’s using Solidity. The model of Ethereum-based smart contracts is pretty obvious: there’s an address and there’s a transaction, users and smart contracts have equal rights to initiate transactions. With EOS it’s slightly more complicated. To initiate certain transactions you have to get permission first. This way, you can be really flexible when it comes to establishing levels of access, it also contributes to security, and modernizes the update system. Ethereum has a delegate call function that allows access to the resources from one smart contract to another. In EOS you can design a whole system of which contract, address, or account has access to the storage. To fix Ethereum bugs you need a fork. 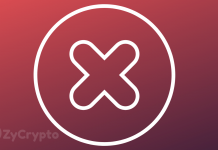 EOS allows block-producers to ban certain contracts and fix the bugs with no forks involved. Moreover, EOS’ unique ability to execute multiple transactions in parallel has yet to be proven in practice and, for now, the only option that we have is to trust what the whitepaper says. And, frankly, just saying it doesn’t mean much. Hopefully, with the $4 billion that EOS managed to raised via its year-long ICO campaign and the talented people working on the project a real-life solution will be delivered. As for the market, Ethereum-based dapps are the ones that generate greater volume. The platform has been around for longer and people tend to trust it more. 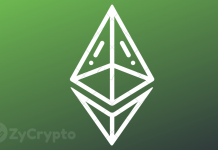 Ethereum market capitalization, at the time of writing, is almost $15 million, while EOS’ looks rather modest with its $3.7 million. The 24-hour volume of ETH is $4.6 million vs EOS’ $1.7 million. And, finally, social media engagement which, in a way, indicates the level of community involvement – Ethereum’s Reddit counts 433k subscribers vs EOS’ 63.7k. Ethereum has to get rid of the ICO-related vibe and once and for all figure out its scalability issue. EOS must yet prove itself, and its founders should start delivering what they have promised. Both blockchains have complicated problems to solve and the resources to do so. Both blockchains have skilled developers and enthusiastic communities behind them. Healthy competition is a massive motivation for Ethereum and EOS to speed up the process of working out their separate issues. The platforms can even co-exist and find their own niches on the wayward path of the blockchain’s evolution. Next articleRipple’s XRP Still Surging In spite Of Market Leader Stalling, Will XRP Hit $0.4?